VitalSpaces needed a digital marketing strategy to drive more awareness to their brand, capture more consulting opportunities and increase sales from their website. 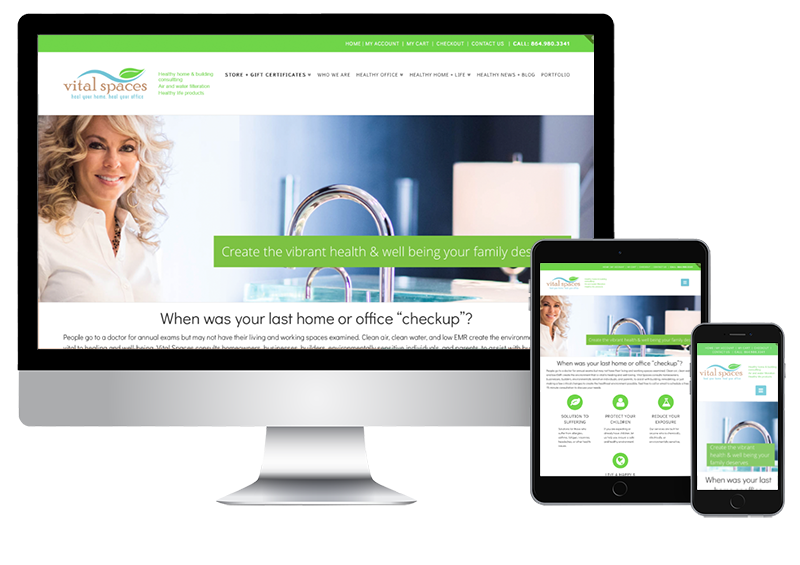 They needed to improve their online presence and give them a better exposure to their services throughout their market. The wanted a shopping solution that would provide their clients the look and feel as the rest of their brand messaging. 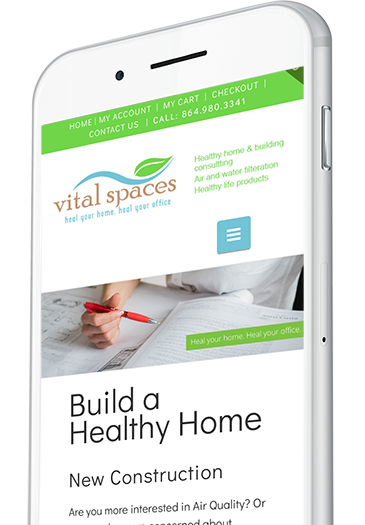 The Vital Spaces website was developed in a responsive design to automatically detect the size of the users screen to correctly size the main navigation, images and content any device. The site offers a shopping cart that integrates with affiliate programs they offer in addition to the regular products they offer. The shopping cart offers coupons, product search and sorting and can be completely managed by the site’s content management system. The website is fully integrated into Vital Spaces’ social media channels. They use social media to share details about new products, consulting opportunities and building project updates. Since the website was launched at the end of 2015, considerable progress was made in generating exposure to the Vital Spaces brand. 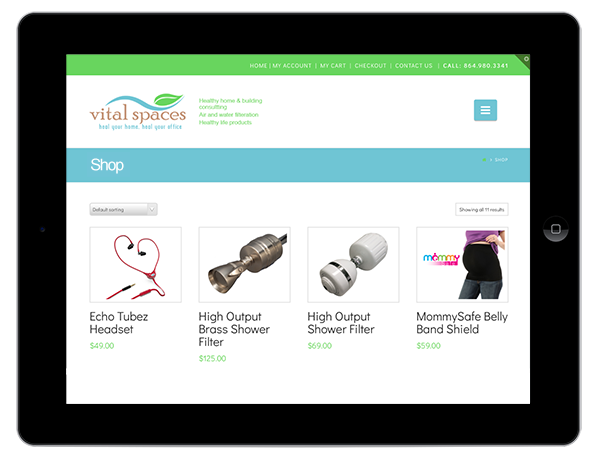 Vital Spaces has taken on new affiliate products to sell on the site and sales from the website has been steadily increasing sales each month. Vital Spaces has been using the site as a tool to help marketing their building bioligist services throughout the region and was able to secure a major project in the spring of 2017.